I used to think baby's skin don't need any form of moisturizers, as long as the skin care products are mild and hypoallergenic. Their skin is already soft and supple, right? Well, babies' skin is thin, sensitive, and dries easily. More importantly, studies revealed that a newborn's skin has a reserve of stem cells! All the more we need to care and protect babies' skin. 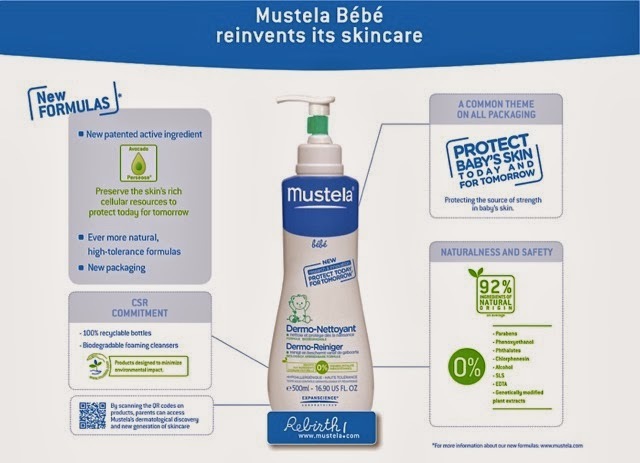 This is where Mustela's new formulation can help. During an intimate brunch for bloggers and media friends last month, I was introduced to the "rebirth" of Mustela, with their new patented ingredient that makes its products even more beneficial for babies' skin. 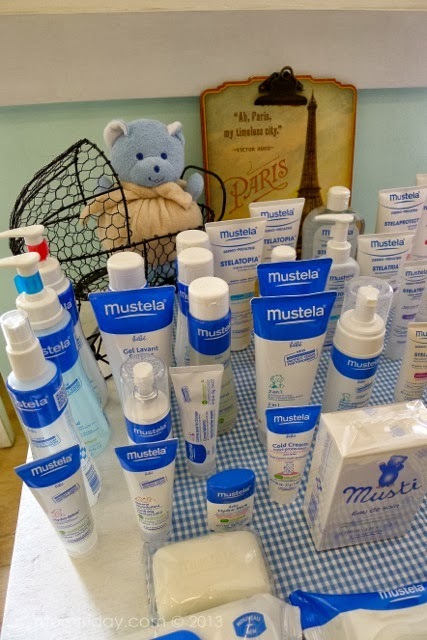 I've already shared with you why my kids and I love Mustela here. We continue to use their shampoo, cologne, and emollients especially for our dry skin plagued with atopic dermatitis. Now, there's more to love with their reformulated skin care lines. "Mustela, the expert on baby’s skin for 63 years, have now discovered that a newborn’s skin contains a rich cellular resource: a reserve of stem cells at its highest potential at birth, yet remains extremely vulnerable during the first few years of life. The scientific team at Expanscience Laboratories found an active ingredient capable of supporting the development of the barrier function and protecting the reserve of cells against day-to-day stresses." Stimulates the production of the skin barrier’s key elements to promote its development and function. Protects the skin’s cellular reserve, Avocado Perseose® acts as a shield against daily external stresses, directly protecting the original cells. Safely preserved, this cellular resource can continue to play its role of restoring and maintaining the overall balance in the skin throughout life. Does NOT contain: SLS, paraben, phenoxyethanol, phthalate, EDTA, genetically modified plant extract, chlorphenesin, alcohol, etc. With Mustela's history and continuous dedication to babies' skin care, the innovative brand remains a top choice for discerning moms that only want the best for our kids, from birth onwards. 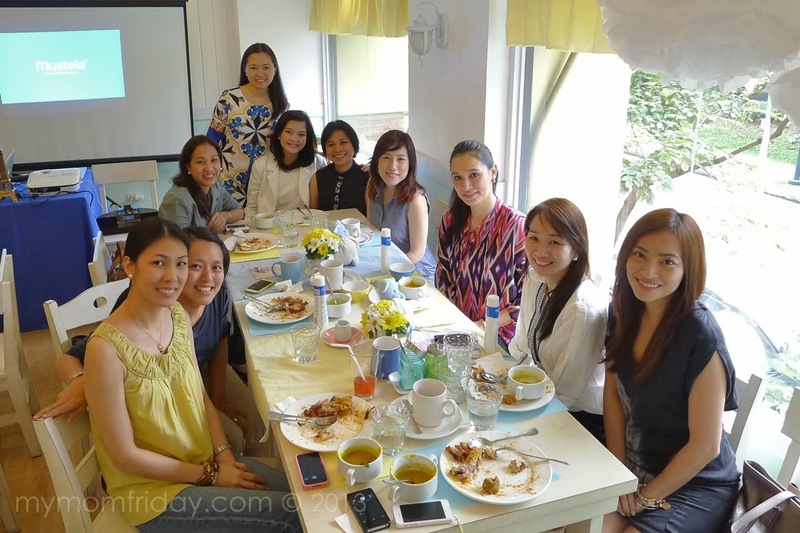 Here I am, in the company of Mustela-loving moms enjoying brunch, with our hosts Tammy (standing) and Sharleen (in white coat) of Pharmasafe Inc. (Mustela Philippines). That's me on the left, with (l-r) Jenny Ong, Janice Villanueva, Tammy Tancinco, Shaleen Cu-Unjieng, Rome Kanapi, Ianne Evangelista, Michelle Aventajado, Christine Dychiao, and Jackie Go. Stand Alone Kiosks: Alabang Town Center, Ayala Trinoma, Glorietta 4, Greenhills - The Shops, Robinson's Ermita, Shangrila Mall, SM Megamall-A, SM Mall of Asia. Shop-In-Shop: Rustan's Dept. Store, Landmark Dep't. Store, Mothercare, Numa Eco Baby Store, Medela House, Pure Beauty, and Chimes Dep't. Store - Davao. 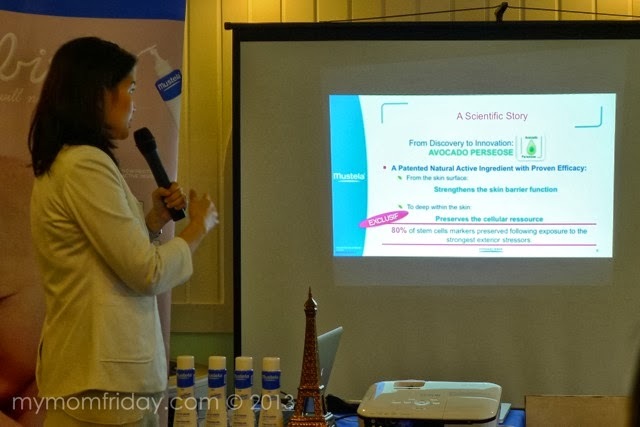 Mustela is exclusively distributed in the Philippines by Pharmasafe Inc.